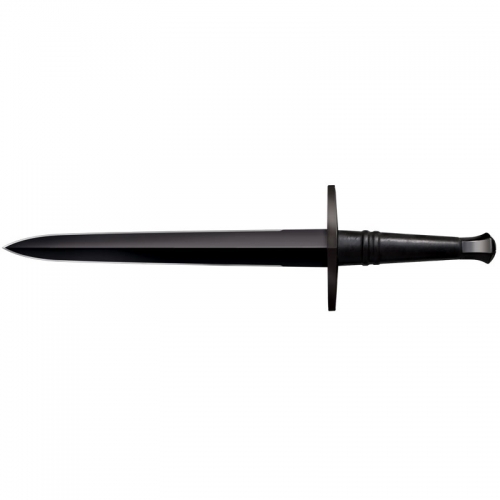 The Generation 2 / Legacy Arms classic Imperial Roman Gladius (or short sword) mimics an original found in the ruins of Pompeii (reliably dating from 79 CE). Features a double edged high carbon blade, hard wood handle & high polished steel spacer at the bottom of the handle for strength and durability. Sword also includes a wood scabbard wrapped in black leather with steel accents at throat and tip. 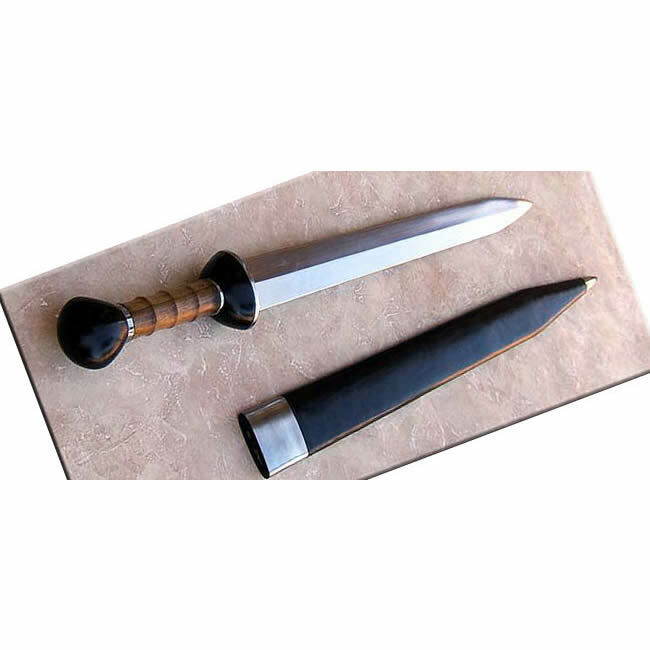 Key Features: high carbon spring steel blade leather wrapped wooden scabbard included double edged Overall: 29 1/2″ Blade Length: 22″ Handle Length: 7 1/2″ Weight: 1.14 Point of Balance: 3 1/2″ Blade Steel: 5160 Specs will vary slightly from piece to piece.